We encourage our children to wear a uniform, not only does this help them feel part of a group, it helps with the transition to school. The use of a uniform is also easier for parents and prevents every day clothes from getting mucky! 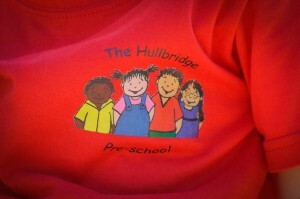 You will receive a free bag upon registration with other items such as shirts, jumpers and hoodies available to purchase from preschool.